Amazon founder Jeff Bezos and Microsoft co-founder Bill Gates were metaphorically sparring for the title of world’s richest individual last week, but the true leader might actually be Vladimir Putin. Mr Browder was a shareholder in Gazprom, Surgutneftegas and other Russian state-run enterprises in the 1990s. Mr Putin’s personal fortune has been the subject of intense debate and speculation. 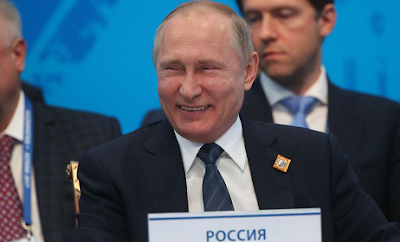 Newsweek reports that, according to Mr Putin's official asset form – a mandatory public disclosure for all Russian government officials – he earns $133,000 a year and has a modest apartment in Moscow.